Fundraising for human rights AND cleaning up the environment! Meet at 9AM at Elizabeth Hall Wetlands parking lot - located on Bridge Drive West near the Bridge View Golf Course. Please wear appropriate clothing for the weather, a hat, and sturdy shoes (NO open-toed shoes). We provide refreshments (granola bars, fruit, water), gloves, safety vests, and garbage bags. Afterwards we celebrate our major fundraiser by going for pizza and refreshments! Download all the pertinent info for the 2019 event here. 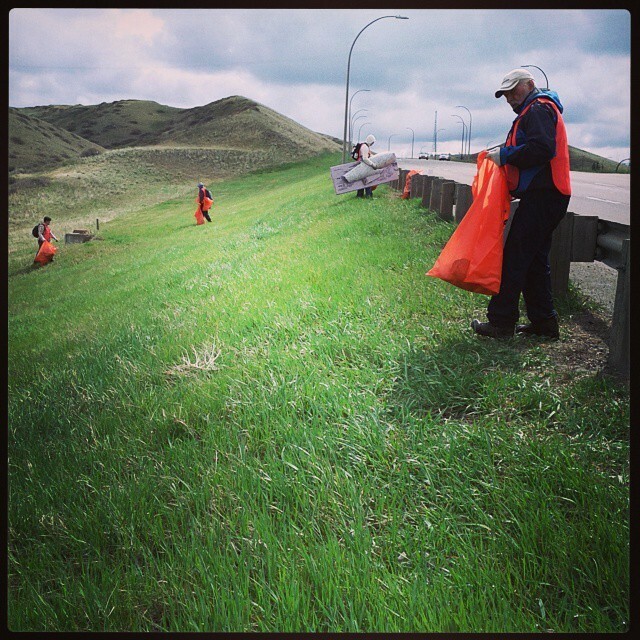 Every year our group removes over 80+ bags of garbage from Highway #3 along a 3km stretch from University Drive to the 5th Ave North turn-off! In return for our volunteer efforts our group raises a good chunk of money to support our annual letter writing activities! 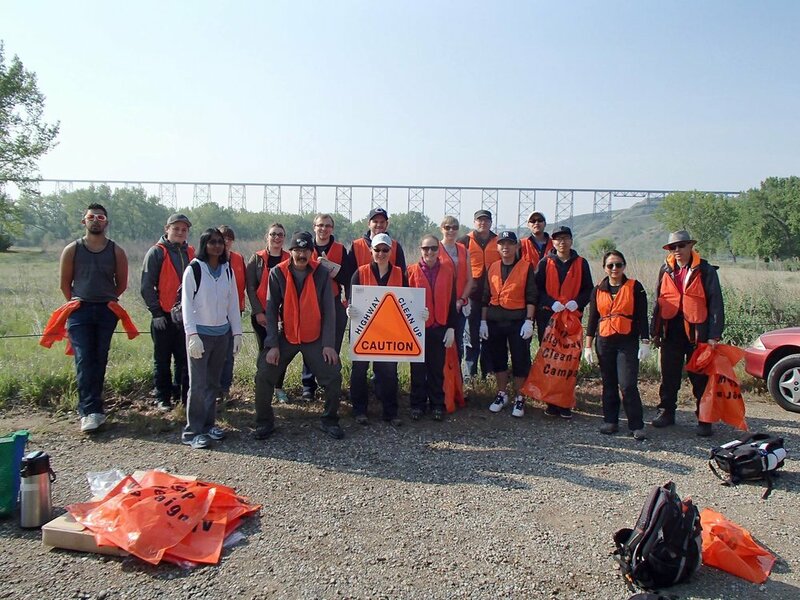 Highway Cleanup is a fantastic team-building activity for our group. What better way to get to know your fellow human rights defenders than by spending a couple hours walking and talking!